You were created to thrive! Listen in as we journey together and learn how to live a life that is unhindered and unleashed. Let’s play FULL out and live FULLY into who we were created to be! Finding Purpose in Your Pain and the Power of Confession. You are in for a great conversation as I talk to Anne Beiler, founder of Auntie Anne's Pretzels. On this episode Anne shares her journey of growth and transformation and how she lives a life unleashed. She talks about becoming a successful business woman (something she never set out to do) and how she found her purpose in her pain. Anne shares the power of endurance in achieving your vision in life. We talk about how keeping secrets can kill us and how confession can lead to freedom. We also talk about a new organization Anne is launching, Broken Silence, whose mission is to help women find their voice and break free from the secrets that keep them stuck in pain, blame and shame. You will be encouraged by tuning in! Anne Beiler began twisting pretzels in 1987 and grew a single farmer’s market stand into Auntie Anne’s Inc., the world’s largest hand rolled soft pretzel franchise. Her professional success, however, was forged after years of darkness, depression, and despair brought on by the death of her nineteen-month-old daughter. 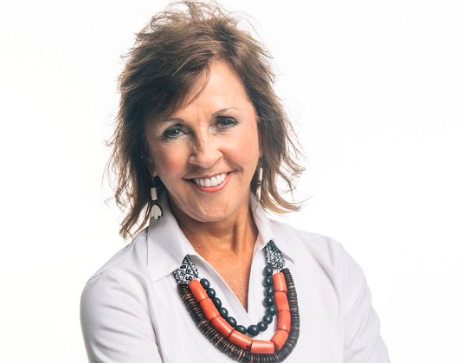 Anne’s personal story and entrepreneurial insights have been featured on many television shows including Secret Millionaire, The Oprah Winfrey Show, and Good Morning America. She has been highlighted in numerous publications such as Fortune Magazine, and Inc Magazine.. In 2005, Anne sold Auntie Anne’s and authored the business memoir, Twist of Faith. Today, she shares her inspirational message with audiences around the world. Anne and her husband Jonas live in Texas and are parents to two daughters, both married, and proud grandparents to four grandchildren. You can learn more about Anne on her website. Thanks for tuning in! Please rate us on iTunes and leave comments when you listen. Copyright 2017 Lisa Bishop. All rights reserved.